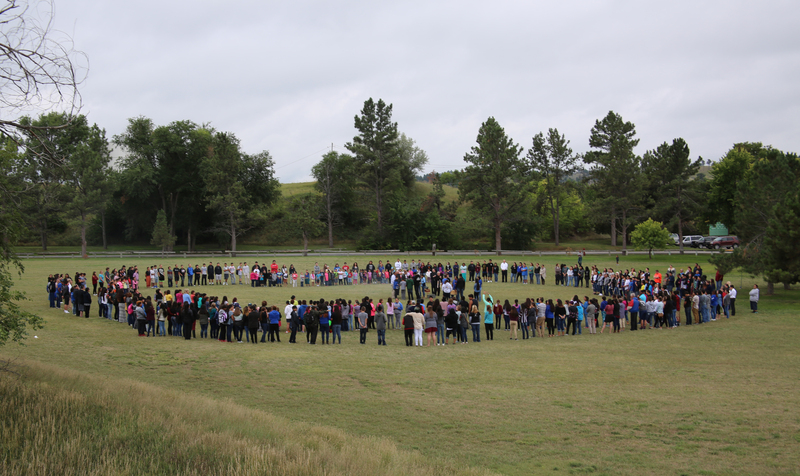 On Friday, September 2, the Red Cloud community experienced a terrifying blow. 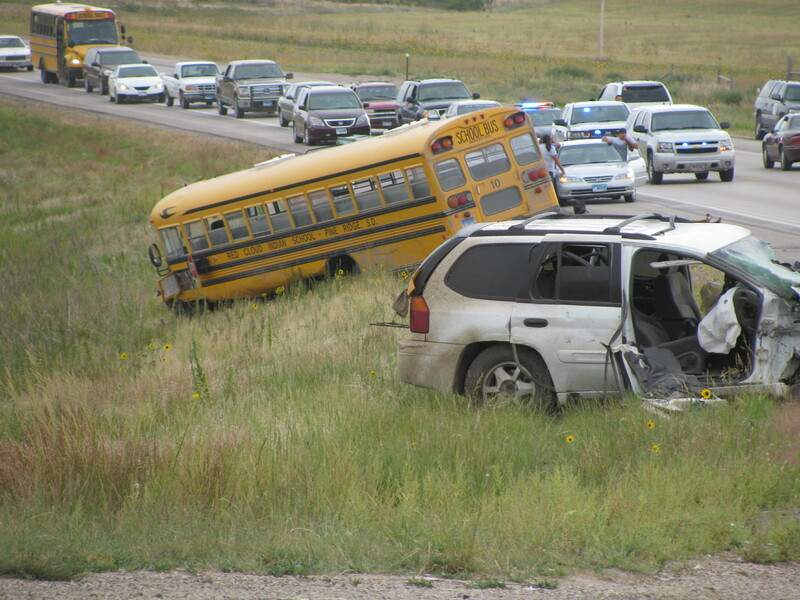 After a long day of school, one of Red Cloud’s buses was struck head-on by a car traveling at high speed. Students, teachers, and staff reeled as news of the crash spread across campus. But first responders at the scene worked quickly to ensure that the 16 students and bus driver involved received the urgent care they needed. Although some sustained injuries, the students and driver were all treated and released from the local hospital that evening. Now the Red Cloud community is coming together to heal from this trauma—and to give thanks for the critical support of both rescue personnel and members of the community. 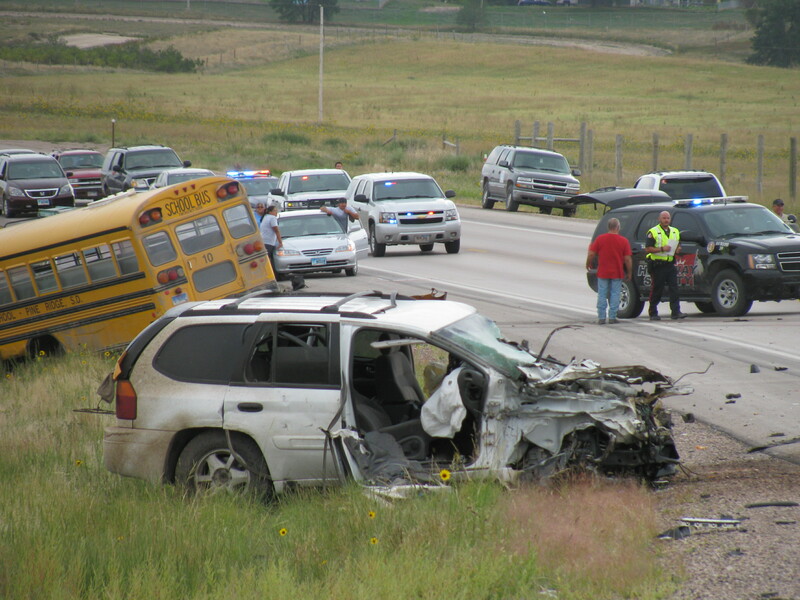 Red Cloud’s Superintendent Walt Swan Jr. and High School Principal Clare Huerter arrived just moments after the crash. 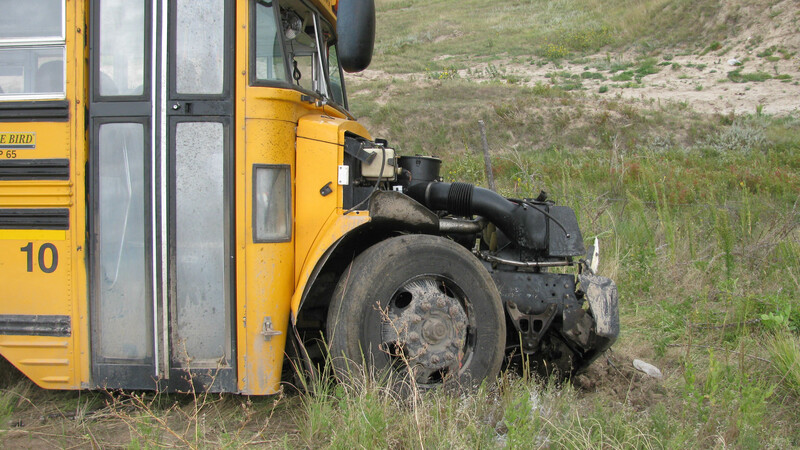 They found the bus in a ditch beside the road, where experienced driver and Red Cloud graduate Glen Gibbons had been able to guide it safely after the initial impact. The front windows were smashed and safety glass had sprayed across the scene. Students were dazed and frightened, and it was obvious that some had injuries that needed immediately treatment. A full team of rescue personnel—including police officers, firefighters, and EMS technicians—had also raced to the scene to manage the situation. They quickly assessed victims’ injuries and began moving students to the hospital. Gibbons, who took the brunt of the impact and who was injured himself, refused to leave the bus until all the students received medical care. Swan heard Gibbons tell rescuers, “Are the kids all okay? You need to get all the kids off first.” He was the last to be transported to the hospital. The students involved also came together to support each other. One senior who had learned first aid during a summer health program ignored her own injuries and began checking her fellow classmates and calming them before paramedics arrived. She suspected that one of the younger students on the bus had sustained a head injury—and she stayed with her and kept talking to her until medical personnel took over. In the wake of the accident, parents and loved ones remained patient as they waited for updates about their children. And Red Cloud teachers, counselors, and other staff stayed at the hospital until late in the evening to provide students and their families with critical support. According to Superintendent Swan, the community’s collective response made all the difference in addressing a traumatic experience. “The rescue crews that responded to the situation coordinated their work so quickly, and brought a sense of safety and security to our students. Our students waited patiently for directions from first responders—the actions of our bus driver Glen are truly an example of courage and honor,” said Swan. The accident is the worst the school has ever experienced. While the bus itself was completely totaled, according to one highway trooper, “it did its job.” The seat design protected the students and driver by absorbing the force of impact and shielding them from broken glass. 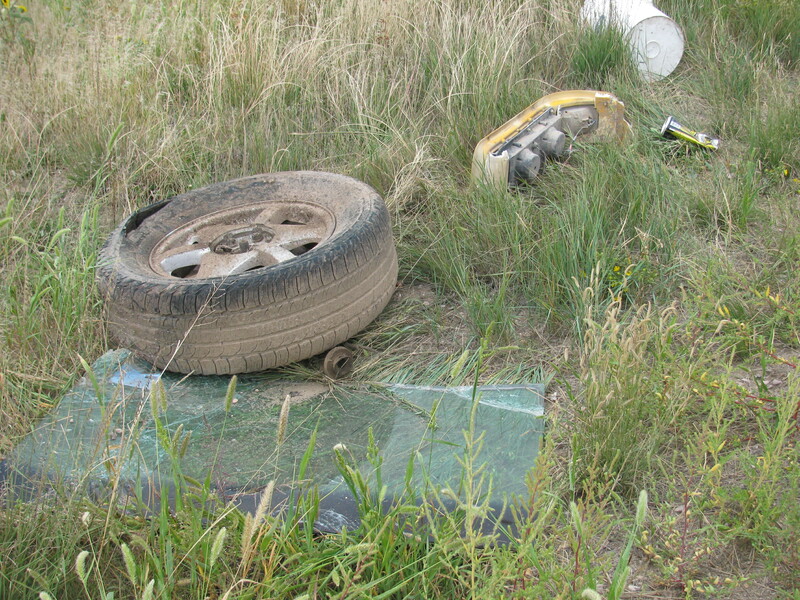 In addition, the careful maintenance provided by Red Cloud’s garage staff ensured that the brakes on the 2004 vehicle were in top condition and able to prevent it from flipping.